Tile & grout cleaning is amazing. When the process is done correctly years of dirt and grime are washed away in minutes. What would take the home owner Days to clean washes away in minutes. In 1992 the process was demonstrated to me. Having experience installing tile I had a natural curiosity because most people remove the tile because it wont clean. I was so amazed by the process I bought the equipment and Carpet Solution has been one of the first companies to offer this service. The process consist of high pressure (800 psi or higher) a specialized tool, hot 200 degree water, and a green seal product called Procyon tile and grout cleaner to release the soils from the tile. Then sealing using a water base seal. A thorough inspection is needed before every job. Carpet Solution inspects the entire tile floor for imperfections, loose grout, loose tile, and square footage. If there is loose grout we recommend a re grouting after the cleaning is finished and dried. If there is imperfections in the tile you will see it when it is cleaned because your tile floor will look as though your tile and grout was just laid down. If there is loose tile it can get looser or dislodge and proper re installation will be needed. Carpet Solution will measure the tile to be cleaned and give you a quote with any recommendations or follow up services it may need. When we schedule a job we clean 25 feet and show you before we proceed. 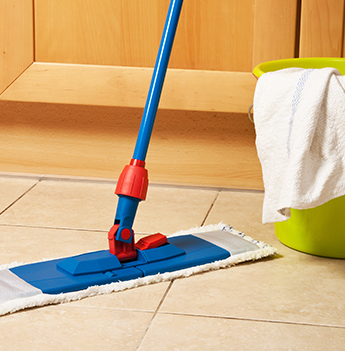 The only time Tile & Grout cleaning fails is if the wrong products where used to maintain . Wax should never be used on tile. If it is solvents are the only way to remove the wax. Carpet Solution does not use solvents and will not remove wax or other sealants that may require this process. If we clean your tile and see no difference we will not charge you for the service. This is why we clean 25 ft first so you can see the difference and it is almost always amazing. If you have Carpet Solution clean your Tile & Grout it is done with our money back or no charge policy. Our greatest thing we love to hear is “WOW!” We teach our technicians “if you don’t hear WOW you didn’t do your job correctly. So don’t take a jack hammer to your Tile & Grout. Let us do a free inspection and a quote. You will be amazed. 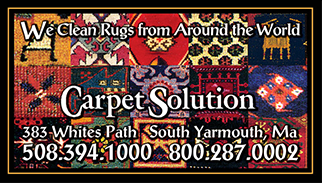 Carpet Solution will always give you more value than the service you pay for.